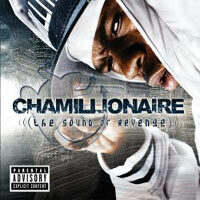 Not too long ago, the southern rapper known as Chamillionaire stated that the best form of revenge was success. With the release of his debut album, this Houston native brings that statement to life. This 21-track album immediately places him among the best the South has to offer. One of the best elements of Chamillionaire's style is the soul-driven hooks that he provides. While his rhymes are a mixture of intelligence, wit, and observation, his hooks are so incredibly smooth and catchy that the listener immediately is compelled to start the track all over again. As the subject matter changes from song to song, so does his style. Whether firing his rhymes off rapidly or being slow and methodical, Chamill never misses the mark. On the Scott Storch-fueled hit "Turn it up," he rides the crunked-out track with a rare mixture of flair, intelligence and personality. Taking a page out of the Notorious B.I.G. 's book, Chamill goes toe to toe with the lyrical swiftness of Bone Thugs member Krayzie Bone . Krayzie represents just one of the many guest appearances on this album. The album also features Southern legends Killer Mike, Pastor Troy, Bun B, Lil Wayne , and Scarface . Big up to Chamillionaire for droppin his debut. I have been jammin Cham since him and Paul were a duo. Today's Cham is a different Cham from those days. The whole title for his debut is taunting those who didnt think he would make it. All the rappers that hit the scene before he did such as Mike and Paul. His ego and cockiness shows throughout the album and thats just Cham being Cham. No doubt he is the truth but to me he doesnt seem like the same punch line rapper he used to be. Thats the Cham that I Jam. Everybody Cop that get cha mind correct and compare the styles. Just be you Chamillionaire. Dueces Romie Rome ISP Underground Records.